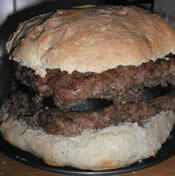 I made this “wee” Scottish burger as a surprise alternative birthday cake for my meat loving boyfriend, Doug. 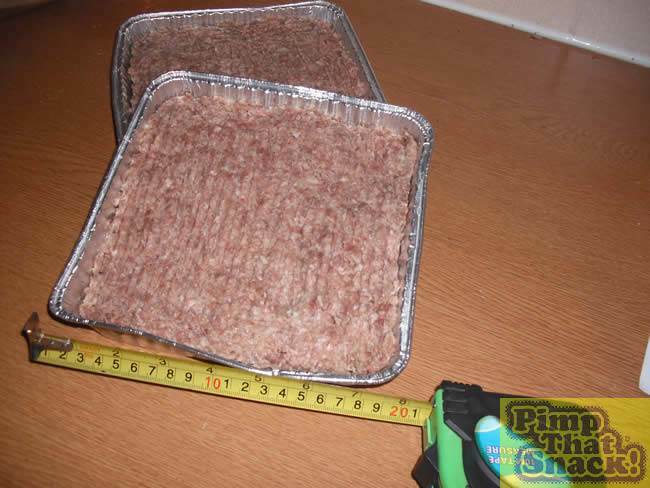 Firstly, I prepped the square (lorne) sausage the night before to save time. Good thing I did as it was hard work mixing 2lb (1kg) mince together with 110g of breadcrumbs. Here are the ingredients. 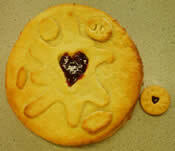 I halved all the ingredients in the recipe for mine. 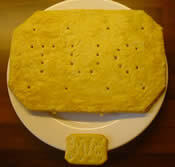 I divided sausage mix into two square foil trays (mine were saved from some Co-op garlic bread; cost me nothing, yippee). Other ingredients to go into bap. The haggis takes an hour to steam so I put that on before I started making the roll. Making the square sausages beforehand saved a lot of hassle. 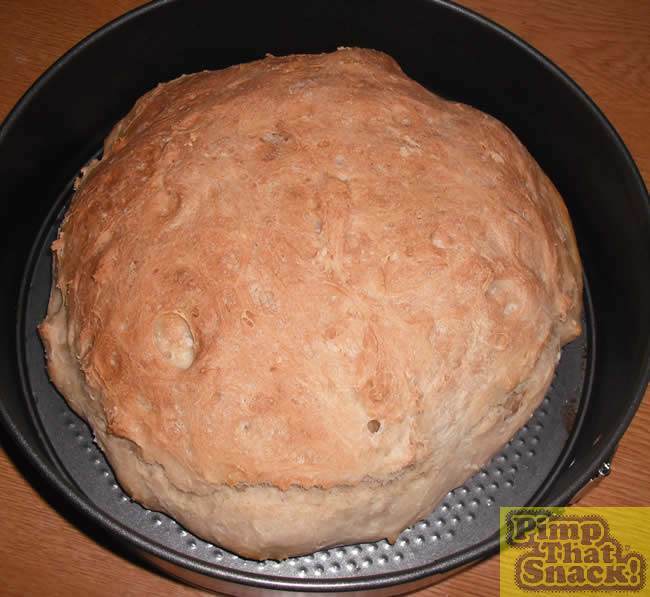 Making fresh bread took me longer than my estimate of 40mins. In reality, it took 1 hour and 30mins. “Allowing the dough to rise” and the “proofing” stages took for-ever even when I tried to speed it along by placing it on top of the radiator and wrapping the bowl in a bag. Luckily, my lovely semi-professional home baker friend, Sally, was on hand to help otherwise I would have dashed to the shops for some backup baps. Anyway, ingredients for making Scottish white rolls. 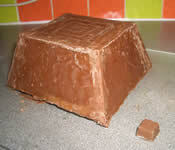 I placed it in a large cake tin for the final proofing stage then baked it for 20mins. While the bap was baking, I flipped the sausage into griddle pan to brown one side then place under grill to brown the top. While the top was browning, I repeated the steps for the other sausage. Once both sides were browned (took ~10mins), I flipped them back into the foil trays (easiest way is to hold tray over sausage then flip pan over so it falls into it neatly) then placed in oven for a further 10 minutes. 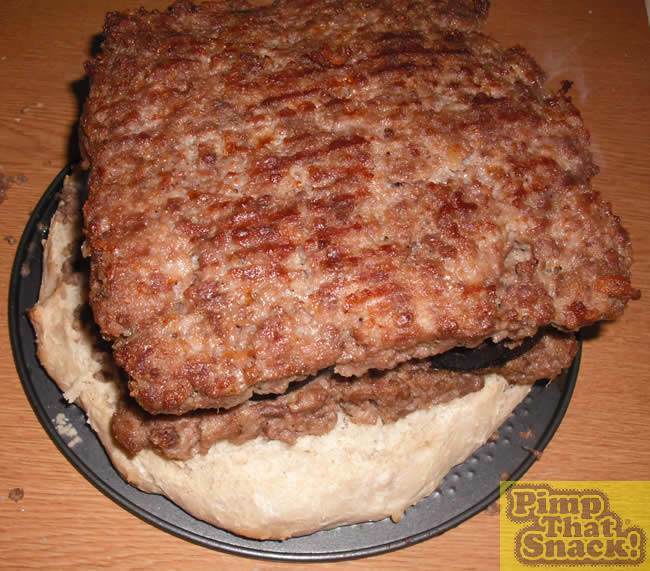 At this stage, the bap was ready and taken out before placing the sausages in. I started to fry the black pudding (4 large ones, 230g). Voila, the giant white bap. Once everything was done. I started to layer the “Big Yin”. 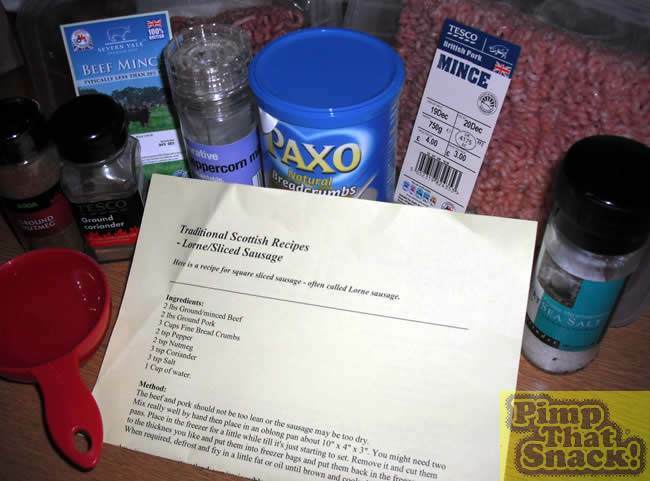 If I made it again I would put the haggis layer second. 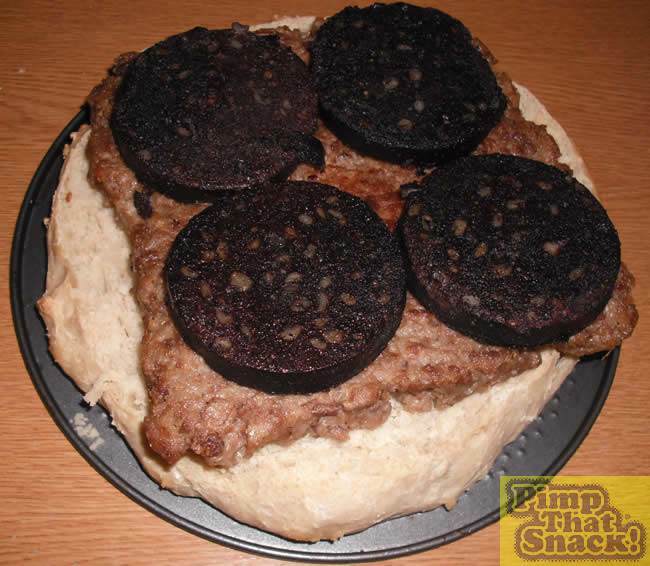 Breaking up haggis with a fork and spreading it onto the flat square sausage would have been much easier than trying to balance it over the black pudding. I only needed half the haggis and saved the rest for my Doug’s lunch the next day. 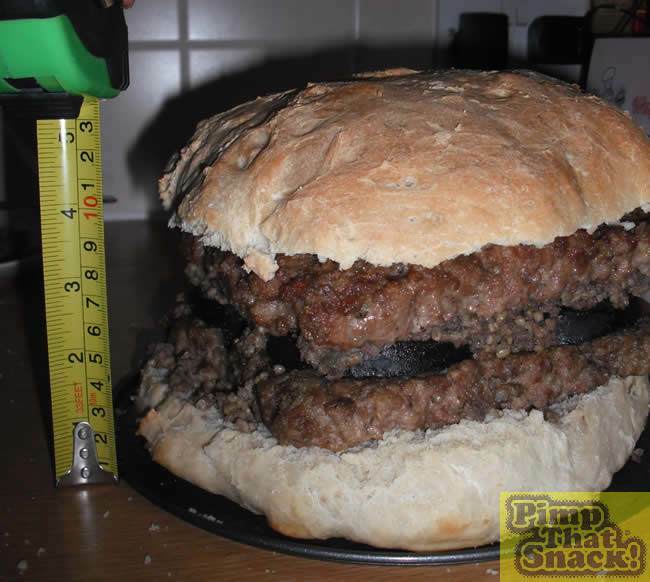 I forgot to weigh the giganta burger but the uncooked weight is roughly 2kg (4.5lbs) so pretty massive. I served salad (didn’t fit in burger) and marinated olives on the side.Not surprisingly, Doug thought it was the best birthday surprise ever and was even happy to share the burger with his mates. Now he’s got eight months to plan and outdo this for mine.